(CNN) - Two days after primary day, it's finally all over in the bitter battle between longtime Democratic Rep. Charlie Rangel of New York and his main primary challenger. 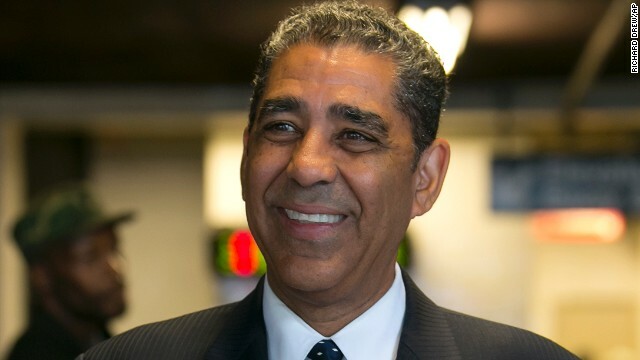 State Sen. Adriano Espaillat conceded Thursday to Rangel in the Democratic primary for the state's 13th Congressional District. A statement from his campaign said that Espaillat earlier in the day "called Congressman Charles Rangel to offer his congratulations – not only on his successful reelection campaign, but on his lifetime of service to the community." In the statement, Espaillat announced that he was running for re-election to his state Senate seat, adding that "I will continue to work to find new ways to bring jobs, affordable housing and immigration reform to our community, so that middle and working class families can thrive here." Late Tuesday, after trailing Rangel by less than 2,000 votes, Espaillat didn't concede after Rangel declared victory. "Given the thousands of votes outstanding, the people of Upper Manhattan and the Bronx deserve a full accounting of every vote to achieve a complete and accurate tally in this race," Espaillat said in a statement at the time. The race was a rematch from 2012, when Espaillat lost to Rangel by less than 1,100 votes. This latest face off captured national attention. Rangel, who was first elected to Congress more than four decades ago, had said this race was his last campaign, win or lose. Rangel, known as the "Lion of Harlem" is a founding member of the Congressional Black Caucus. But he suffered a serious setback four years ago when then-chairman of the tax-writing House Committee on Ways and Means was forced to step down from that post, and later in the year was censured by the House for ethics violations. Just as damaging politically for Rangel was the redrawing of his district after the 2010 election. It went from a Harlem-based, African-American-dominated district to one that now has a Hispanic majority. If he had won the primary and November's general election, Espiallat would have become the first member of Congress born in the Dominican Republic. Espaillat will win in 2016...trust me. With Rangel retiring in 2016, Espiallat will win. I guess the people of NY still remain stupid after all these years. Good luck you deserve him what a joke you people are. Just another corrupt thug in Congress. It would be shocking but they run the place.